This is one of the best business books we’ve read all year – maybe in years. Its author, Joe Vitale turns his extensive research into the life, exploits and lectures of P.T. Barnum and produces “Rings Of Power” for any business owner. 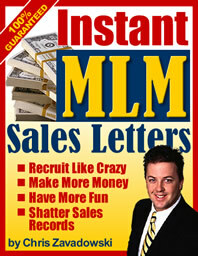 But armed with Joe’s tips-from-Barnum in this book, you will find there’s a new customer waiting for you every minute! Joe’s book, ‘There’s A Customer Born Every Minute’ is a great read and a great business gift! You’ve seen George Ross on ‘The Apprentice’, next to The Donald in the Boardroom. George has assisted Donald trump with his real estate wheeling-and-dealing almost since the beginning, and is both Executive Vice-President and senior Counsel of The Trump Organization. He has been a lawyer specializing in real estate for 50 years, co-founded a radio station business he built and sold for millions, invests in various projects, and teaches negotiation at New York University. Do You Make These 38 Mistakes With Your Credit? Are these mistakes surprising to you? What don’t you know that you should about… transferring credit balances to get a better rate? Applying for a home equity credit line? Rate shopping the wrong way? Using personal credit for your business? Closing accounts? Expert Stephen Snyder reveals inside secrets of credit scores, so you avoid mistakes that worsen your score and do the right things to optimize your score… to expand borrowing power, get the lowest interest rates and best terms, which means improving your lifestyle. This is doubly important to business owners who have to be concerned with both their company’s credit status as well as their own. Stephen has appeared on CNNfn, CNBC, Bloomberg TV, in Newsweek and The Wall Street journal as America’s leading credit scores expert. His book, Do You Make These 38 Mistakes With Your Credit?, is available at bookstores, amazon.com, or get info at 38mistakes.com and myfico.com. While it’s a VERY quick 20 minute read, you’ll pick up a few new tips and ideas that are guaranteed to help you keep your scores high (which helps your business and personal credit).